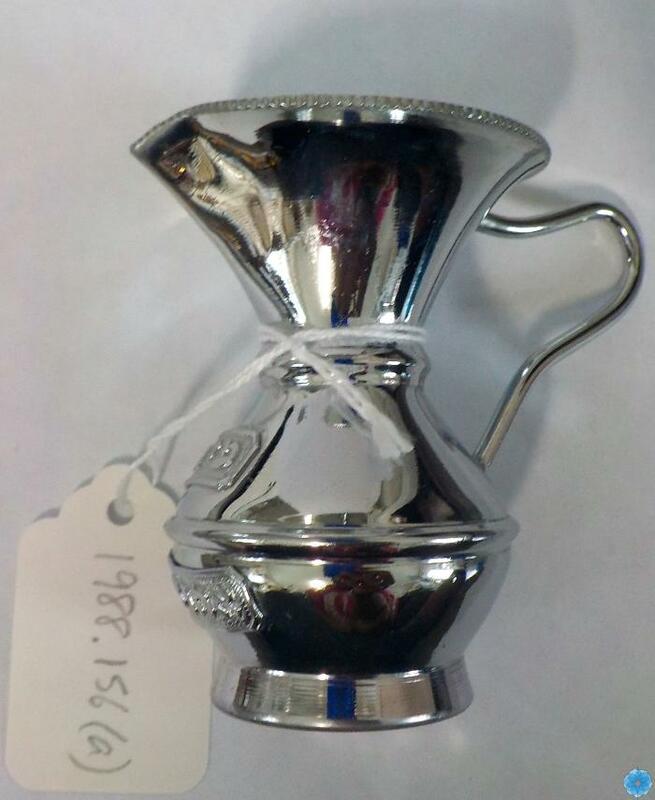 Description: A silver cup and saucer set that is used in an after-meal ritual. a) cup has a wide base, narrow neck, and a wide, bevelled mouth. There is a spout for pouring. The cup also has a very slender handle. There are two plated of Hebrew text on the front.